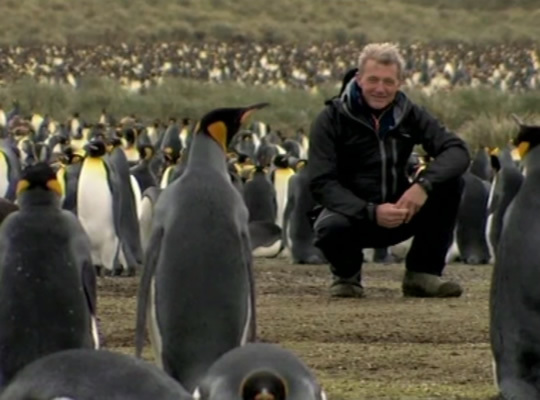 Explorer, professional diver, polar guide, mountaineer and skipper Paul Rose, is a true authority on marine life and a passionate conservationist. He was awarded HM The Queen's Polar Medal for his work as the Base Commander for the British Antarctic Survey for 10 years and the US Polar Medal for his work with NASA and the Mars Lander project. CENTURION: What has been – or will be – the highlight of your week? PAUL ROSE: I have recently returned from another Greenland expedition and back to the usual challenge of deskwork. So my highlight was this morning's walk for a few hours in the local hills here in the Lake District of the UK with two good friends. It's raining and the smells are fabulous, the colours vibrant and there is a great feeling of peaceful energy. Birds! I sleep with all the windows open as I enjoy the sound of water running in the beck at the bottom of the garden. The pre-dawn chorus of birds wakes me and I can enjoy a first cup of tea at the magic time of the day. If I am on an expedition then I wake with a subtle shift in the boat's position, or a change in the weather that affects the tent. Sometimes the ambitious schedule means we have to move. How would you define luxury? It's all to do with contrasts, like when I return from a long expedition and can make a cup of tea when I choose and so easily. There is no need to chip ice from a glacier, melt and then boil it. After I've been rolling around at sea and then spend the first night ashore in a great bed. Or if I've been working in the polar regions and have had 24 hour daylight for months, it's that first dark night and seeing the stars. But then in a short time I define luxury as dinner at the Savoy, wonderful resorts, first class travel and being looked after by expert hosts who have a genius way of making everything perfect in a relaxed fashion. Have you ever experienced a truly "defining moment"? I remember the early 1960s when my greatest heroes were in their prime. 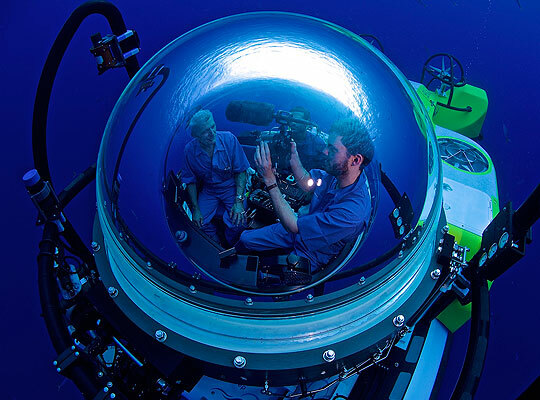 Hans Haas was using military diving gear to film his fabulous shark documentaries. Jacques Cousteau had co-invented SCUBA diving, written the Silent World and was exploring the world's seas on the ultimate diving expedition on Calypso. As I was growing up, I hated school, loved the sea and knew nothing. Except that I wanted to be a diver. And my big hero at the time, Mike Nelson, was up to his neck in Sea Hunt adventures. Beautiful women were hiring Mike for diving lessons, and at the end of each programme I felt he was talking directly to me with his words on diving safety. I can still feel my first dive in 1969. Sideways rain and sleet on Chesil Beach, Portland. Pulling on my home made wet suit (black with yellow tape of course!) Carrying the boat, the outboard engine, fuel and all the gear across the stones, heading out a little way and then: rolling into the sea. You know, I really can still feel that moment. 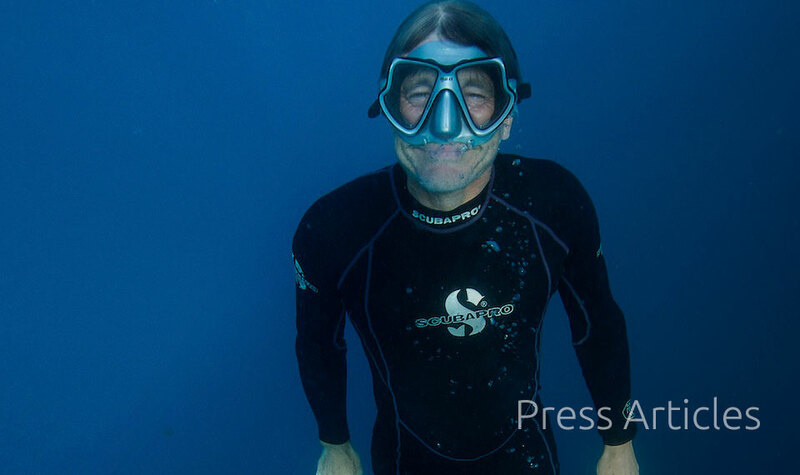 It was clear water, I could see the bottom which was about 10 metres depth, the cool sea rushing into my wetsuit, the fabulous sense of vitality. I have made over 6,000 dives and I love that moment of leaving the surface and being at one with the sea. Grace Kelly or Sophia Loren? My recent journey to the Galapagos was onboard the MV Grace. It's a beautiful motor yacht given to Grace Kelly and Prince Rainier as a wedding present from Aristotle Onassis. It was an excellent cruise and I fell in love with MV Grace, so I guess I must choose Grace Kelly!